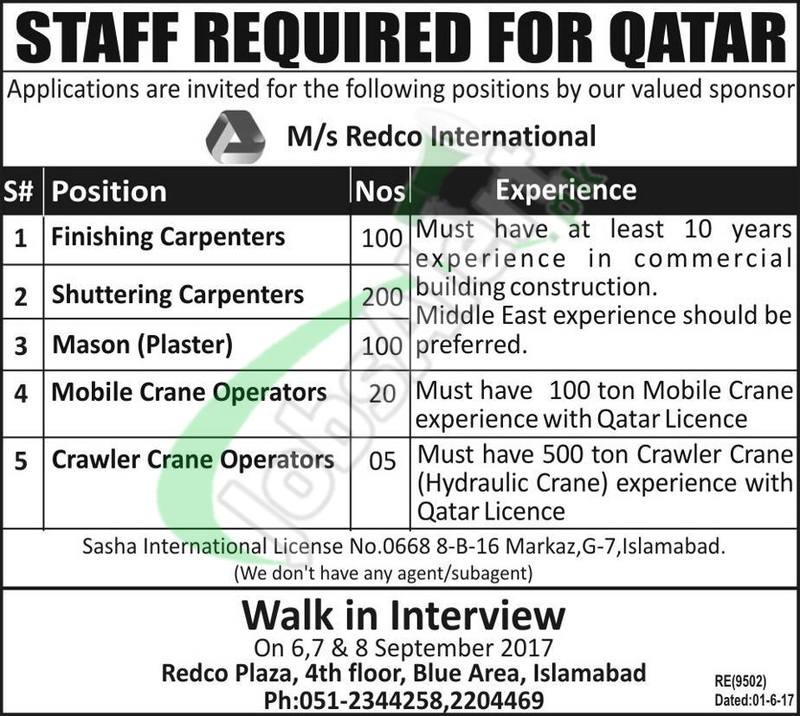 This page is about Redco International Qatar Jobs September 2017 Walk-In Interview for the 425 positions such as (Finishing Carpenters, Shuttering Carpenters, Mason (Plaster), Mobile Crane Operators, Crawler Crane Operators). Candidates wanted to apply for these positions should hold relevant qualification and experience and experience as per the demand of vacant positions. So, only suitable candidates meeting criteria should appear for interview on 7th & 8th September 2017.